Campaign Jobs has produced a white paper designed to help you prove the power of employer branding. The power of employer branding is gaining pace in the creative and marketing industry as more and more employers realise the importance of highlighting their company culture and benefits in order to attract top talent. The white paper references industry research which revealed that an employer’s brand is a key consideration throughout the candidate journey - from applying for a job through to the interview and beyond. In fact, 96% of active jobseekers take an employer’s brand into consideration when applying for jobs and 94% said the company’s reputation is important to them, according to a 2016 Campaign Jobs survey with more than 200 jobseekers. Gone are the days of posting a job listing on a job board and hoping the applications flood in. As Laurie Higdon, recruitment manager at Dentsu Aegis, comments: "You have to go the extra mile to get your roles in front of candidates". Dentsu Aegis worked with Campaign on a careers article featuring an interview with Liz Jones, chief executive of B2B at Dentsu Aegis, about the company’s flexible working initiative, which included a call to action to apply to the scheme. The content attracted interest from senior industry professionals who called Dentsu to specifically discuss flexible working opportunities. One of the most forward-thinking employer branding campaigns that Campaign Jobs has worked with was with HEINEKEN and their creative studio, Cloudfactory, to amplify their ‘Go Places’ recruitment campaign. Another campaign highlighted in the white paper was to help UEFA recruit for a specific pivotal role of head of corporate communications. The role was based in Switzerland so they needed to attract local talent or UK talent willing to relocate. You can read more about these campaigns and how they boosted the employers’ recruitment activities by downloading the white paper here. 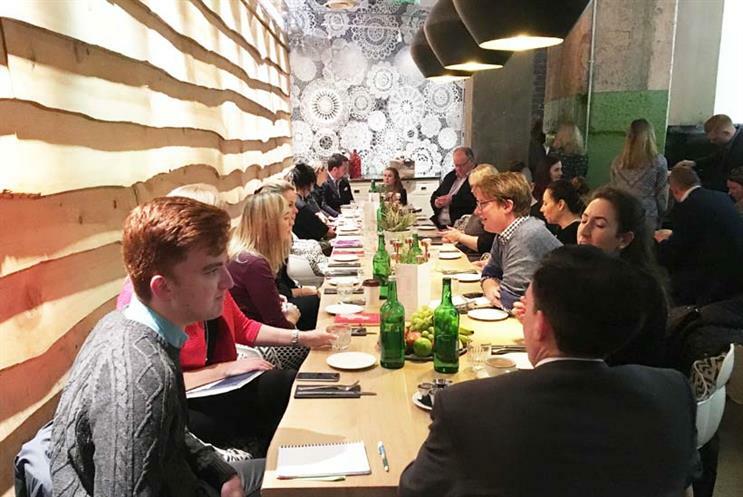 The white paper follows a recent breakfast briefing meeting held by The Recruitment Events Co and Campaign Jobs, which was attended by more than 30 in-house recruitment managers in the creative and marketing industry. Communicate the culture of your organisation: There was a general consensus that salary is not the biggest driver for candidate attraction. Meaning and purpose, work/life balance and location are equally, if not more, important. Use creativity to recruit creative talent: Most people felt they needed to be more creative with their recruitment approaches. Video is king: Video is a powerful way of engaging with time poor candidates. Create rough and ready 360° videos of your office or interviews with employees to give candidates an audiovisual insight into your organisation’s culture. The onus is not just on HR and in-house recruiters: Everyone in the company should have some responsibility for recruiting the right people. Many felt there should be a greater onus on the hiring manager and the senior stakeholders within the business than is currently the case. Another tip was to find the fans of your business as they are the ‘low hanging fruit’ hires. To find out more or discuss working with Campaign Jobs to support your recruitment campaign, please click here to request a call back. Visit the Campaign Jobs Wonderful Workplaces in Marketing hub page for insider insight into what it's like to work at different organisations in the creative, media, marketing and advertising industry. Get a range of career advice and learn from recruitment experts in your sector.